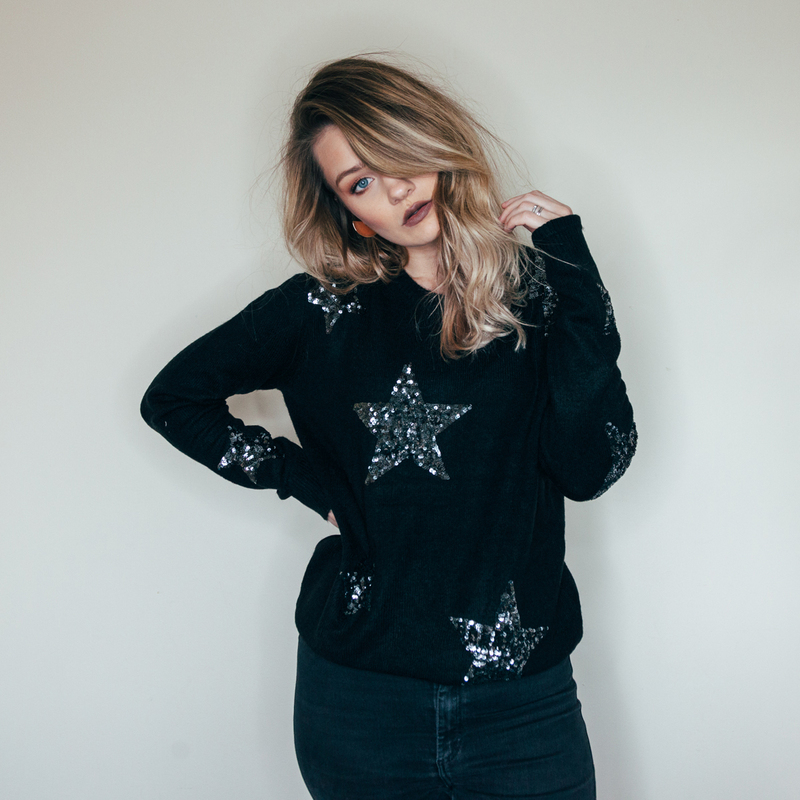 I love sequins and the magpie in me loves this jumper SO much! It just updates the little black jumper and makes it more fun and quirky. I’ve been really loving wearing this with black jeans and a little pop of colour from my bag or jacket – it looks so cute paired with red! Also, you can double this up as Christmas jumper too, win win! This jumper is definitely on the higher end of the price scale but I love it regardless. 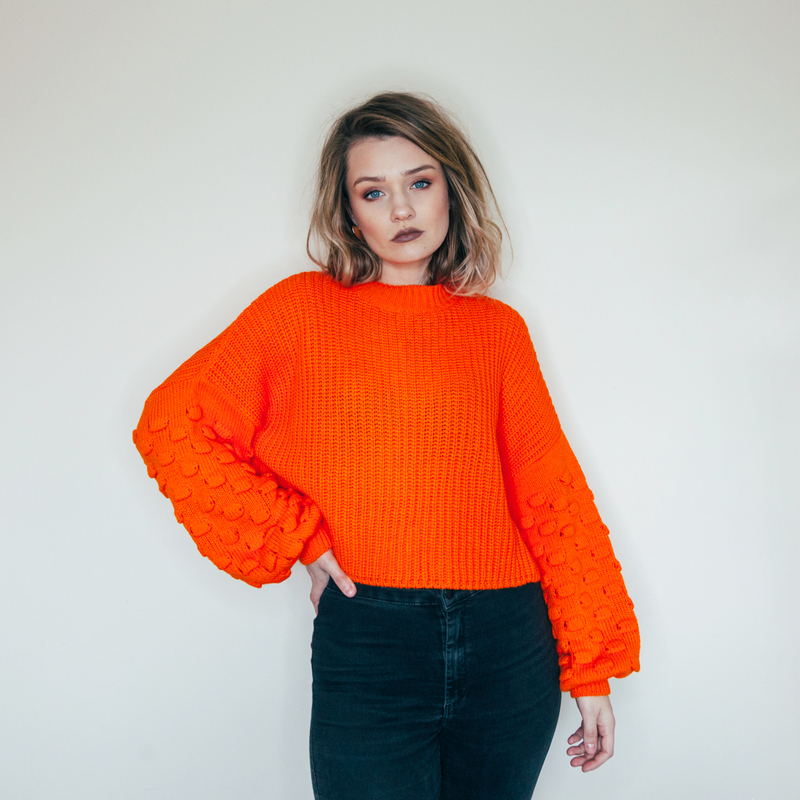 Firstly the pom pom details are super on trend and something I’m really enjoying adding into my wardrobe at the moment. 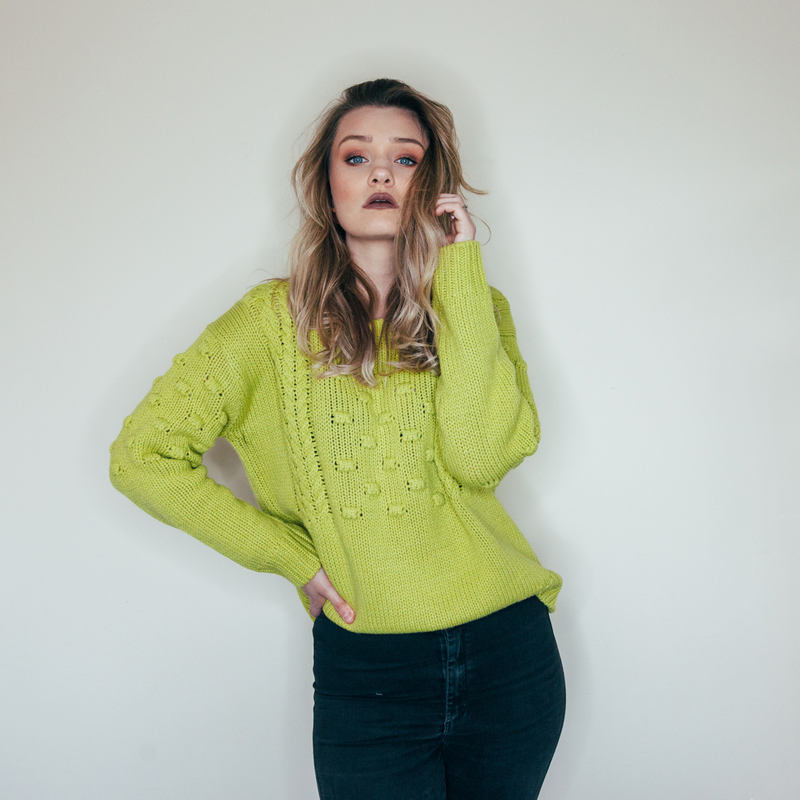 Secondly, I didn’t ever think I would be reaching for a lime green knit but I just love the colour so much. It pops when paired with black, denim, browns, blue.. you name it, it works. I wear this mostly with black denim, tassel earrings and some fancy boots. Well hello there, yet another bright jumper. Admittedly this one is slightly traffic cone but OH MY GOSH I just love it, so much. 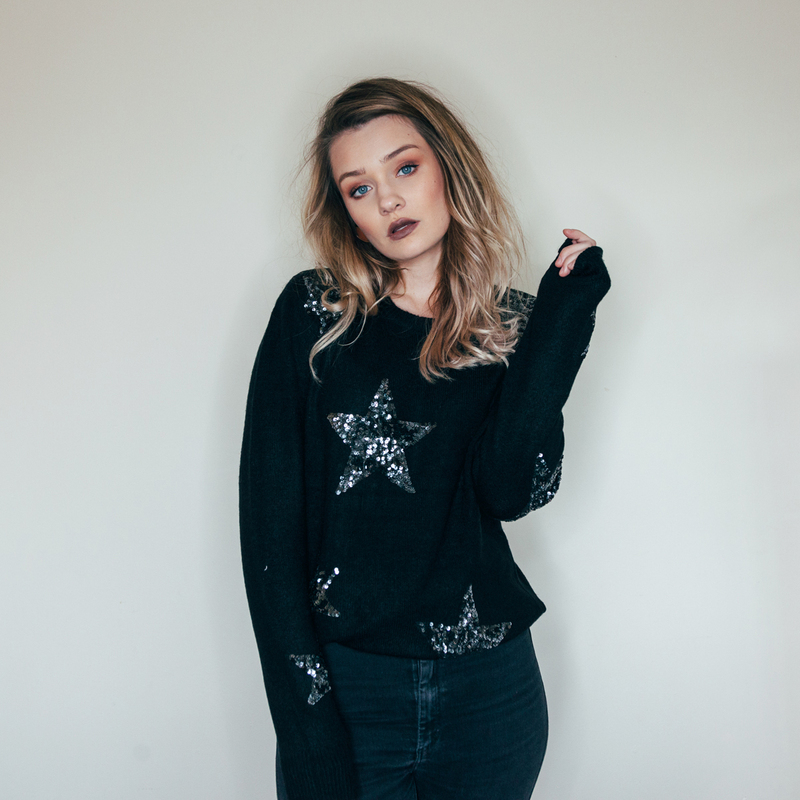 This jumper looks amazing paired with a leather jacket, denim jacket, pea coat, you name it – it works. I actually really like how bright it is too, it’s different and fun. 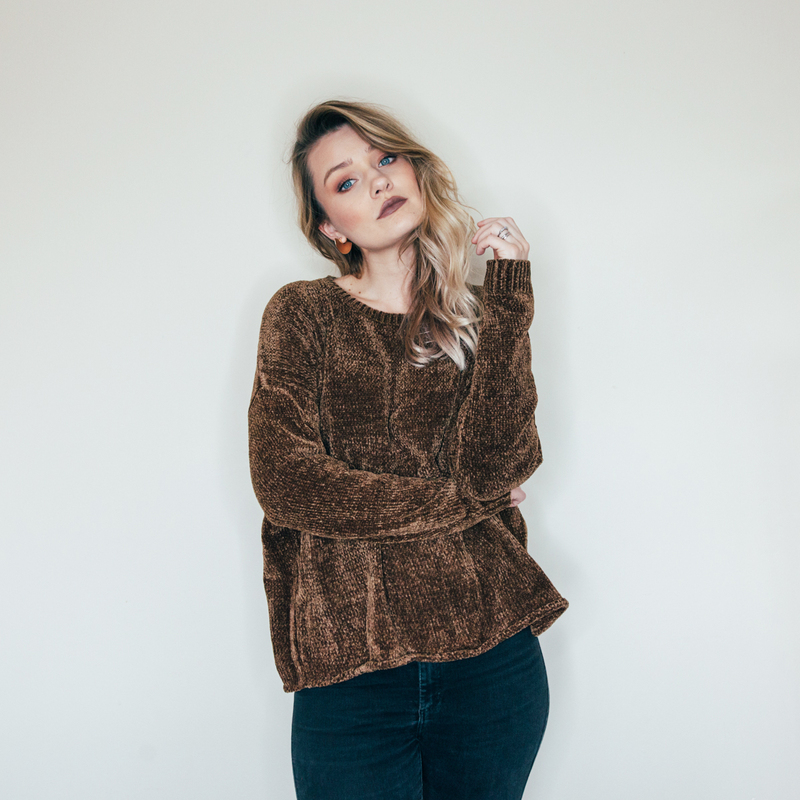 The sleeve detailing is what attracted me to it the most – slightly flared and covered in a ruffle effect puckering which works really well, oh and also… it’s super soft, hello cosiness. 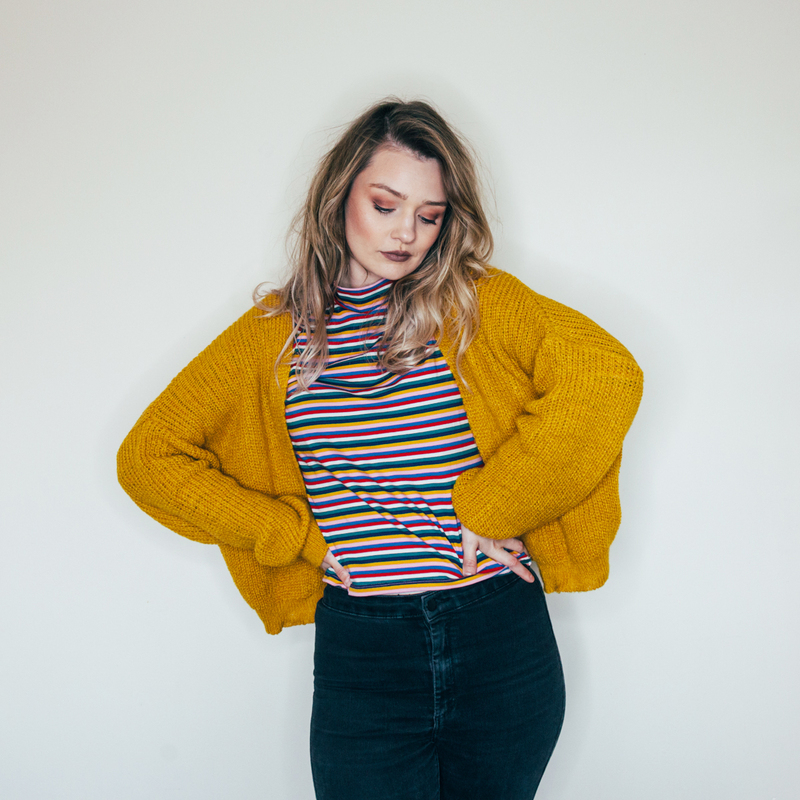 You guys know how much I love my boho styling, so this cardigan is no surprise! 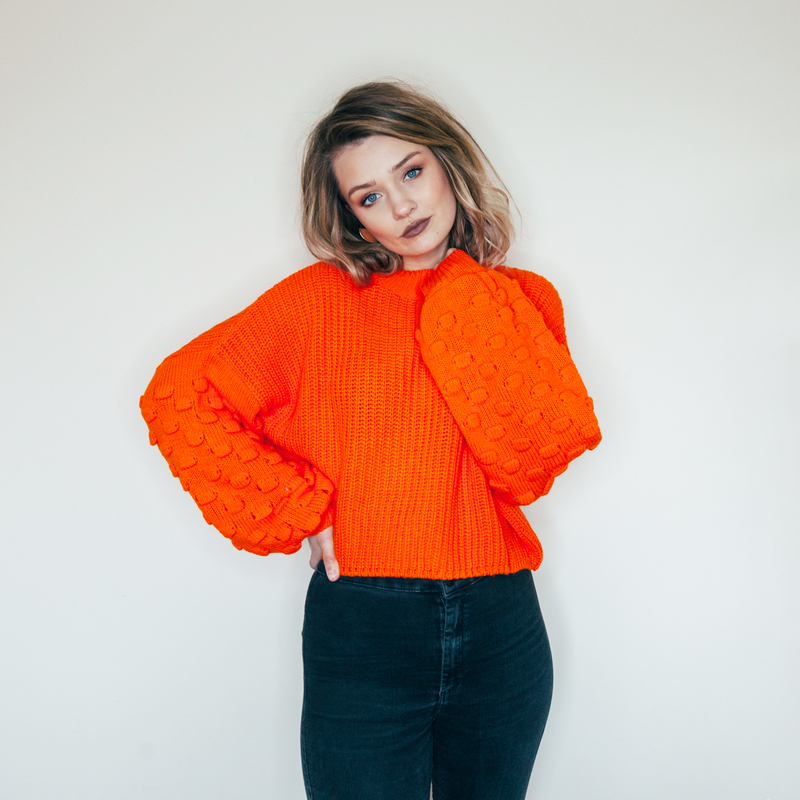 It’s oversized and has a slight ‘scruffy’ feel to it, but of course I’m talking the good kind – I love that slouchy, off the shoulder vibe! 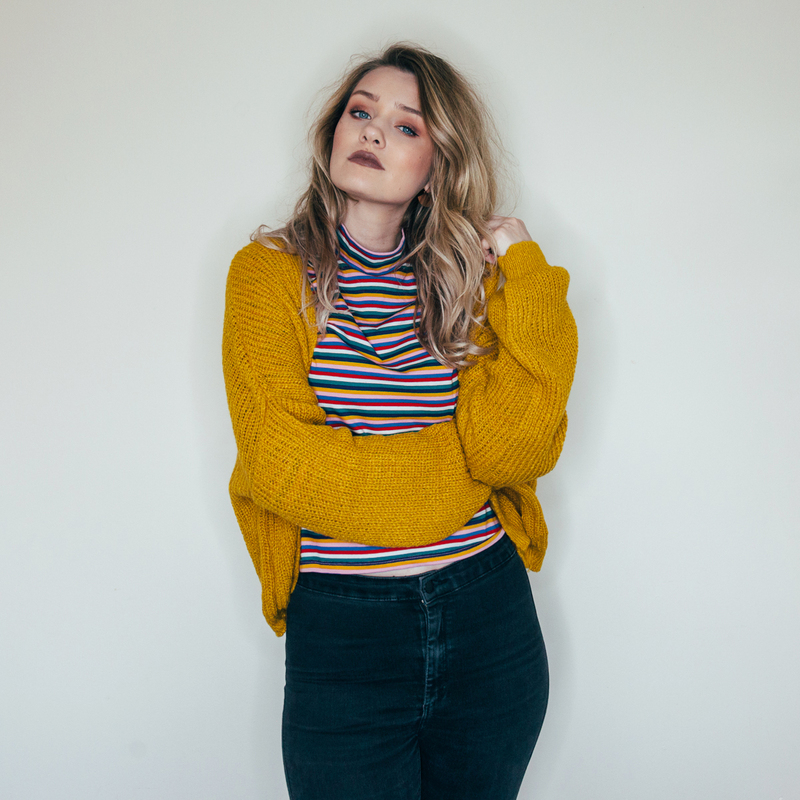 I’m really enjoying mustard right now and this looks amazing over a simple white tee with relaxed jeans and converse, as well as over this striped roll neck via Monki. Also, a slogan tshirt would look super cute too… I think I’ve proved it’s such a wearable piece! 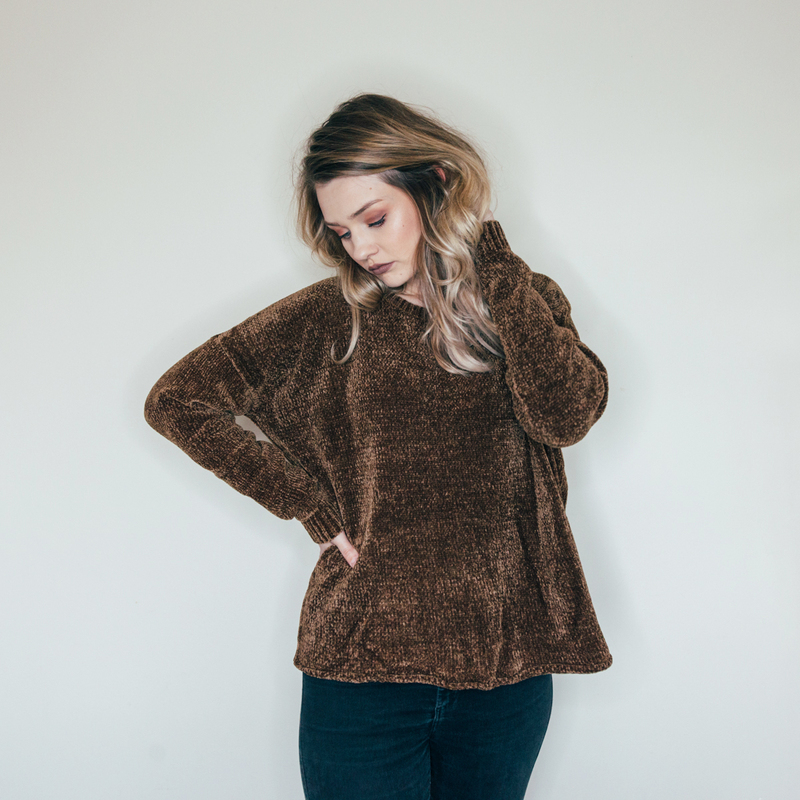 So chenille jumpers are my new best friends, they are so freakin’ soft and dreamy… wonderful infact! They are available in a wide variation of colours and styles but I picked this one up because I just felt I lacked brown in my wardrobe. I wear this mostly with jeans and tan boots, which works so well. I pop on some brown lipstick too which makes the jumper pop even more and I love the neutral tones. I now plan on picking up 10 more colours of chenille jumpers, they’re basically like wearing your PJ’s all day long. Yasss all these and also makeup is beaut!